A town engulfed in evil atmosphere. But in the mids of it is a guardian angel girl who protects the town. She is a usual girl who found a magical item to turn into a warrior of justice. For that reason she is targeted by evil forces. 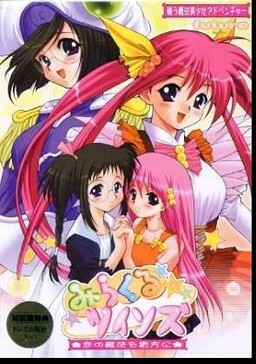 Together with main character and another girl able for transformation they fight for the peace of this town. "Really? When there is someone you love, they grow bigger?"